Massage Therapy : A Luxury or Necessity? Even in this day and age, most people in today’s society are under the impression that massage therapy is a luxury for the rich who have money to throw. There is of course, a good reason for this belief. Due to the spa culture today, most massage therapies are quite expensive for the common man to afford. Even if someone does opt for getting massage, it may be from some untrained masseuse who claims to have been self-taught or taught by ancestors and charges only Rs. 300-500. Massage therapy is an absolute necessity for most people today. In the process of saving money, getting a massage from an untrained person causes more harm than good. As an experiment, we took massage therapy from some of the ‘Desi Masseuses’ and found that apart from a couple of basic techniques, most other techniques they use aren’t just wrong, but are harmful. For example, most of them were found to be massaging the legs downwards instead of upwards towards the heart. This can create major circulation issues in the future. Improved Blood Circulation – Right techniques of massage boost blood circulation in the body which means that every single cell of the body gets activated. This helps improved functioning of each organ and removal of toxins from the body. This is especially necessary for diabetes patients as their blood circulation becomes sluggish. Improved Digestion – Almost everyone suffers from some or other digestive problem. Massage therapy over the stomach and intestine area helps improve the movement of food through your digestive tract, stimulates flow of digestive juices and improves digestion and elimination. Elasticity of Muscles – For those whose lifestyle is sedentary, massage is essential to maintain the health of the muscles. On the other hand, those who work out a lot, require massage to loosen up the tightness that builds in the muscles. Mental Relaxation – Relaxing the body is not enough. Most diseases today originate in the mind due to stress, anger, anxiety, etc. The real cure is to stimulate mental relaxation which can only be achieved through the hands of a trained therapist. The state of mind then achieved is similar to that of Yogic relaxation techniques. These are just some of the reasons that everyone should opt for regular massages every month. However, if you still feel that spa treatment is too much to ask for, there are many who choose to learn massage themselves rather than hire untrained therapists. We have had many couples coming to learn the correct massage techniques from us in order to treat each other and their families. Learning massage through our customized, specially designed courses is easier and more fun than you can imagine and you will learn much more about yourself and your body in the process. We believe that if one member in each household knows these therapies, we will have a naturally healthier society as a whole. "Pinakin is a really nice and patient teacher. During the theory sessions, apart from the theory of Swedish Massage he shared a lot of additional information. I learnt a lot from him. Thank you." On 2nd October, Gandhi Jayanti, we remember a great man who was instrumental in changing our nation through some very powerful tools of Truth and Non-Violence. A man deeply rooted in principles, he always wished for the welfare of the nation and its people. 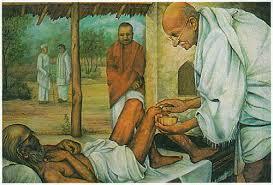 A well known fact is that Mahatma Gandhi was a great promoter of Naturopathy, i.e. the use of natural elements like water, air, sun, earth, correct diet, etc for healing and treatment. His experience and experimentation with naturopathy made him believe that it is a must better and more affordable line of treatment than modern medicine. In fact, having benefitted immensely from nature cure, Gandhiji established a nature cure centre close to Pune where people from all walks of life could take advantage of this ancient science. Some important elements in Naturopathy treatment include many hands-on healing techniques like massage, face and body mud packs, etc. Over hundreds of years, forms of massage have been used to improve the blood circulation and elasticity of the muscles. It also helps in better functioning of the body organs and removal of toxins from the body. Even body scrubs and masks have been used for detoxification and beauty using natural ingredients. So can you imagine, if even one person in every household has the knowledge of these healing therapies, how much better and healthier the world would be? We would be less dependent on painkillers and medicines. We would be one with nature, just like our bodies were meant to be. And so many problems could be avoided at all stages of life. 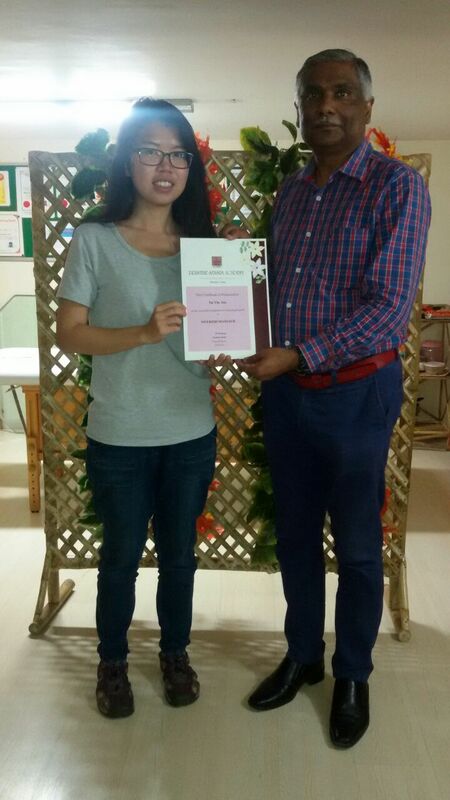 At Pristine Senses Academy, we have made it our endeavor to change the world, one household at a time. By introducing international standard, easy and fun to learn short-term customized courses in Swedish Massage Therapy, Balinese Massage Therapy, Foot Reflexology, Body Scrubs and Body Wraps, we wish to empower at least one member of every family to be able to heal themselves, their loved ones and even others. Learning these therapies provides a good opportunity to use these skills as a profession or as a selfless service to the society. Knowledge, after all, never goes waste, especially the knowledge of healing. So join us in celebrating Gandhiji’s legacy and help heal the world through love and positive energy. Write to us today to find out more.